8 spots go into a Case break random giveaway! MJ and Bron Auto Chase! 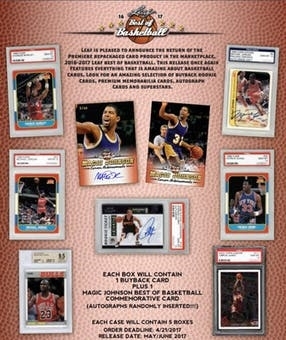 Each Box contains One Buyback Card, PLUS One Magic Johnson Best Of Basketball Commemorative Card! Look for an amazing selection of buyback rookie Cards, premium memorabilia cards, autograph Cards and superstars.